The recent AAT decision, Mount Owen Pty Ltd and Innovation Australia  AATA 573 was a well resourced AAT case that related to the R&D activities conducted by a large coal producer. It is relevant to companies that conduct R&D activities in a production environment. It is important to note that although the case references the Applicant as Hunter Valley Coal Corporation Pty Ltd, a then subsidiary of BHP Ltd, BHP had sold this company to another mining company and had no connection to the matters in this case. This case played an important role in the $120 million settlement of an R&D tax dispute between Newcrest Mining, Innovation Australia and the Australian Taxation Office regarding R&D activities that were conducted from 2009-2011. 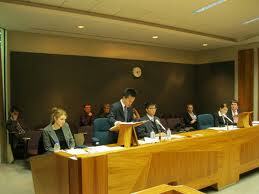 The Applicant claimed activities relating to a large open-cut mining operation at Mount Owen in the Hunter Valley. The deposit at Mount Owen was affected by major regional geological faults which gave rise to geotechnical difficulties and challenges in the mining process. In order to mine at a required depth of 270m, the Applicant claimed that it faced a number of ‘geological complexities’. The Applicant claimed it experienced a series of failures in the ‘low wall’ and developed processes during the period to manage these challenges. To solve some of the issues, the Applicant used a process known as ‘through-seam blasting’ instead of the conventional process of blasting. The Tribunal found that all activities were ineligible on the basis of inadequate substantiation of hypothesis and evidence of ‘purpose’ for generating new knowledge. Although it was not disputed that the ‘through-seam blasting’ activity occurred, the Applicant could not demonstrate through documentation that it was conducted to test a hypothesis of any-kind. As with a string of recent AAT decisions, the mining company failed to detail the ‘experimental’ nature of each of the ‘core’ R&D activities. Unless the activities involve the development of new knowledge and were experimental in nature, they will likely be ineligible as ‘core’. It is important to note that testing and evaluating activities are not R&D activities. 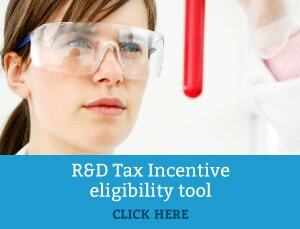 The ability to evidence concepts such as ‘hypothesis to be tested’ and ‘knowledge gap’ are essential in any claim under the R&D Tax Incentive. R&D tax claimants need to evidence the experimentation required to close the knowledge gap through contemporaneous documentation. To review the full case, click here.